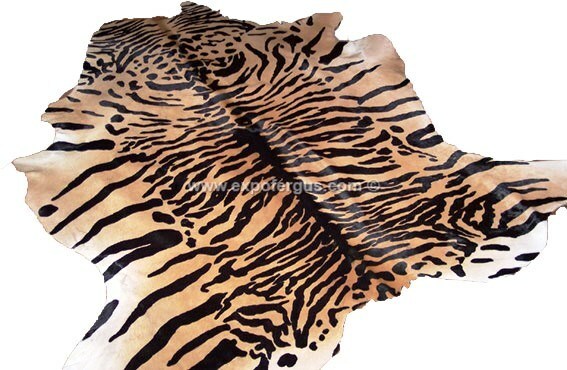 Cowhide printed with bengal tiger pattern for an exotic decorative look. * Pictures are for references purposes only. 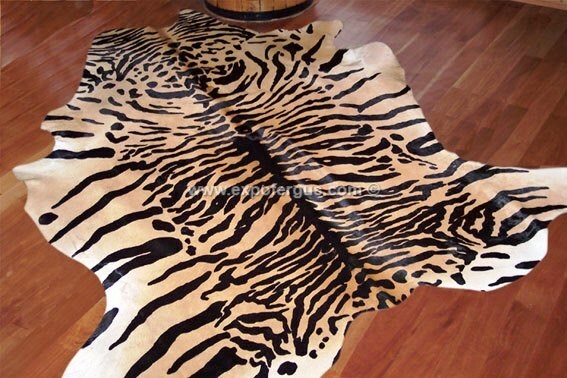 Cowhides are still a natural product, and there are not two cowhides exactly the same; each cowhide is unique. All of them present variations of pattern, shape, size, and colors as nature itself. 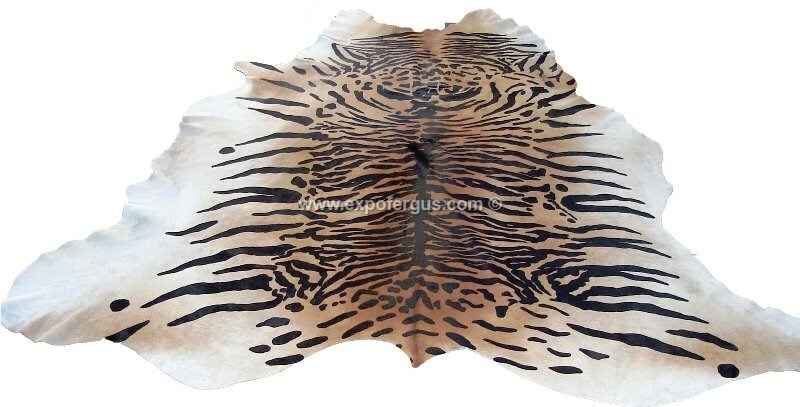 Certain marks, brands and minor imperfections are normal with these natural shape cowhide rugs; and it reflects the authenticity of a leather product.